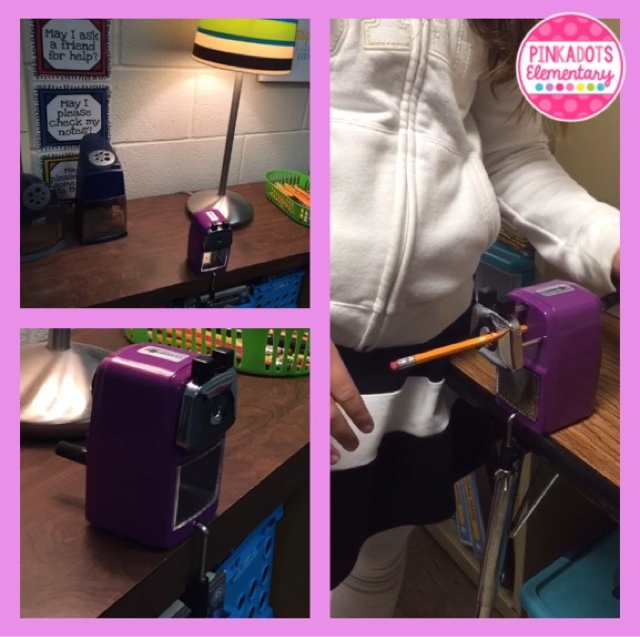 Pinkadots Elementary : Sharpening pencils in style! It's here! It's here! I am super excited to be posting about my new classroom addition. This little device has made my mornings flow smoother, quieter, and brighter! I was so exited to be chosen to test out the new color, but when I found out it was PURPLE, I was even more thrilled! 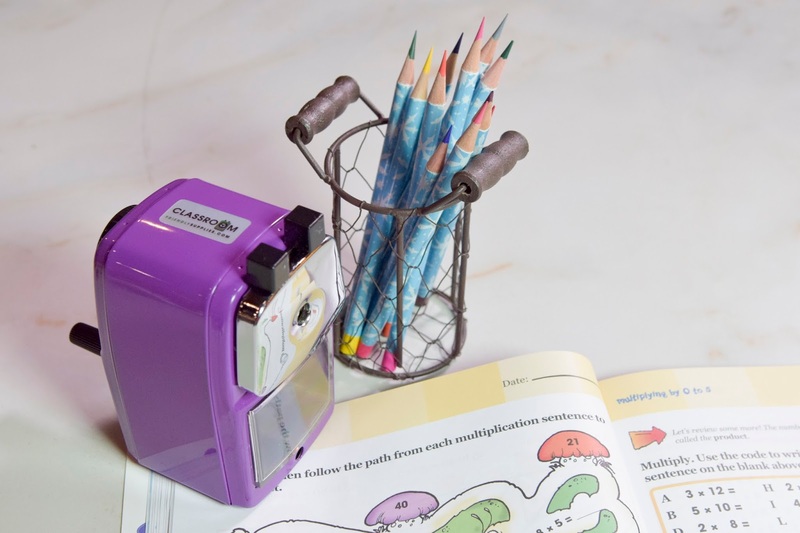 My students absolutely love these sharpeners! I've bought one for the past two years, so the purple added to my collection. I now have three different pencil sharpening stations (my purple, red, and blue). Students don't even use my loud and obnoxious electronic sharpeners unless there is a line at one of these guys. My custodians are happier because there is much less of a mess with these hand sharpeners compared to the electronic pencil chompers and the kids are happy because not only are their pencil tips wicked sharp, but it doesn't eat half of the pencil in the process! Check her out! Isn't she a beauty?! I've even had students from last year's class stop by my room in the morning to sharpen their pencils because they miss the sharpener! They were thrilled to see our new addition! Honestly, if you don't have one of these, you need one! Want to see it in action? Check out my Instagram post or my Facebook page for a video! Would you like some more information? Check out Classroom Friendly Supplies! It is owned and operated by a teacher! Couldn't get any better than that! Thanks again Troy for my new purple present! I got one of them the other day too---and I LOVE the color! I think it is the best on yet! I have been hearing more and more about these little gems, and your blog post just sent me over to their website to take a closer look. I think my class NEEDS this!!! Thanks for the review!